Holy heck. I finally finished editing this tutorial at 2:12am! I guess I will be hitting the gym pretty late tomorrow morning. Whoops! I've gotta learn some time management skills! Ah! 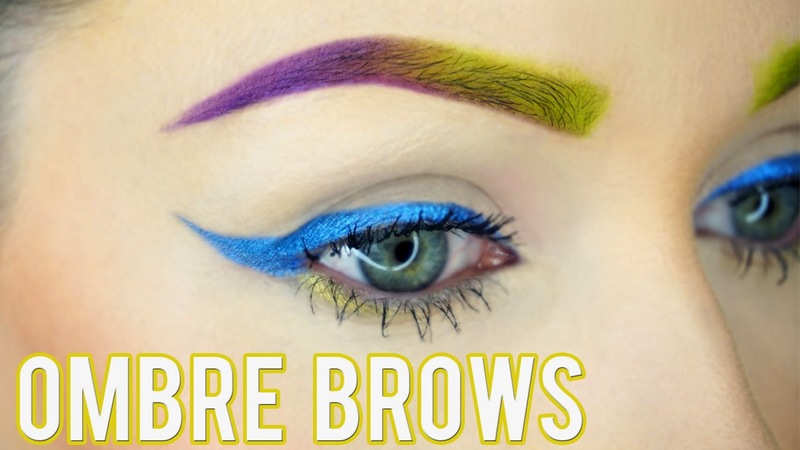 Anyways, I am very excited to bring you my first ombre brow tutorial! I will be doing a few of these in the same format, with other colors, maybe some glitter? Who knows! What colors would you like to see? ✦ Urban Decay Electric Palette "Thrash"
✦ Urban Decay Electric Palette "Urban"
*Make sure you use a THIN angle brush for this, and not a weird wiry, thick brush, that won't work well for clean, crisp brows. I suggest buying one in a store and not online so you can touch it and check it out to see if it's going to work for you! *I prefer a ROUNDED concealer brush as opposed to a squarish one. This is because it goes with the natural arch of your eyebrow much better! Get a square one, and you'll be wrestling with it for a long time!